Those who visited the old Evangelion Store Tokyo-01 in Harajuku’s Takeshita Dori will remember the shop spanning two floors. 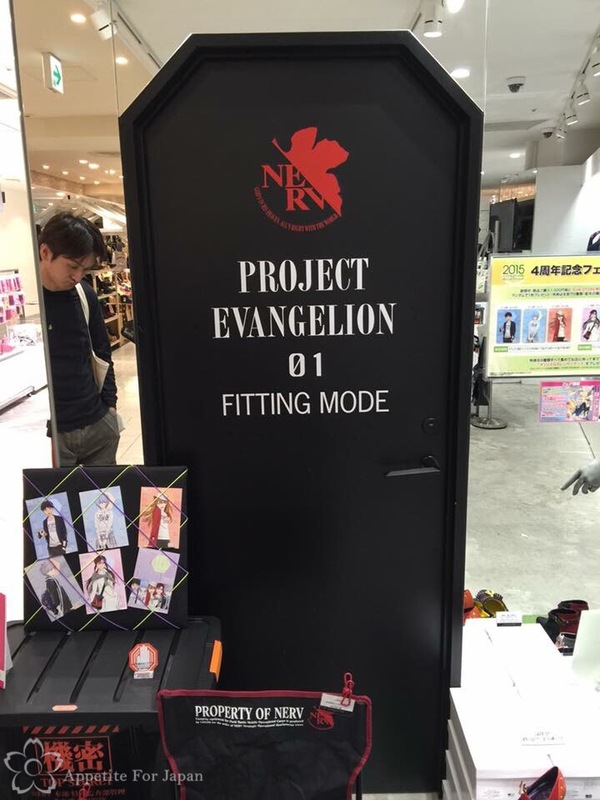 Evangelion Store Tokyo-01 moved from Harajuku to Ikebukuro in 2014, and is now less than 1/4 the size of the previous location. Many people automatically think of the suburb of Akihabara (Akiba for short) when they think of Tokyo’s anime districts. 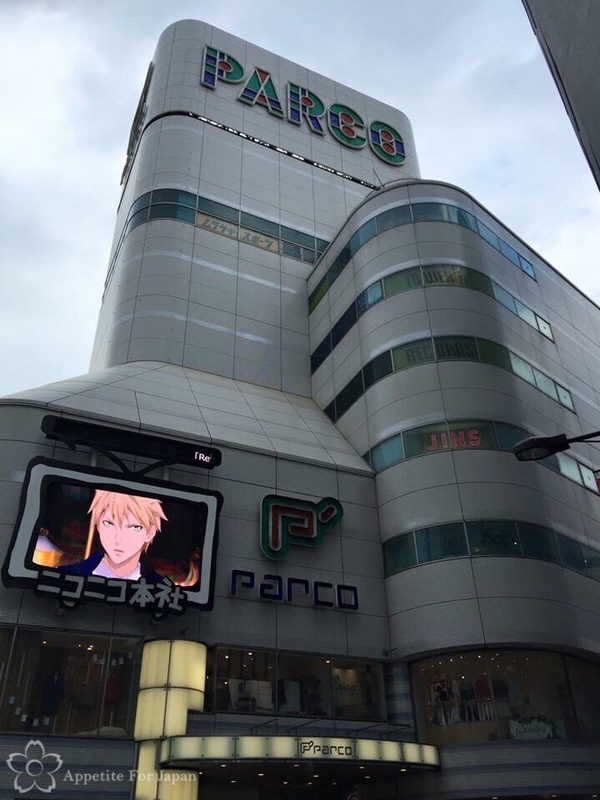 However, Ikebukuro has a lot to offer to anime fans, such as Namco’s anime theme park J-World Tokyo, Pokémon Center Mega Tokyo (which happens to be Japan’s largest Pokémon Centre), and one of the branches of the famous Characro Cafe. Evangelion Store Tokyo-01 is thus very much at home in Ikebukuro. Above: Evangelion fans will recognise the life size statue of Rei. 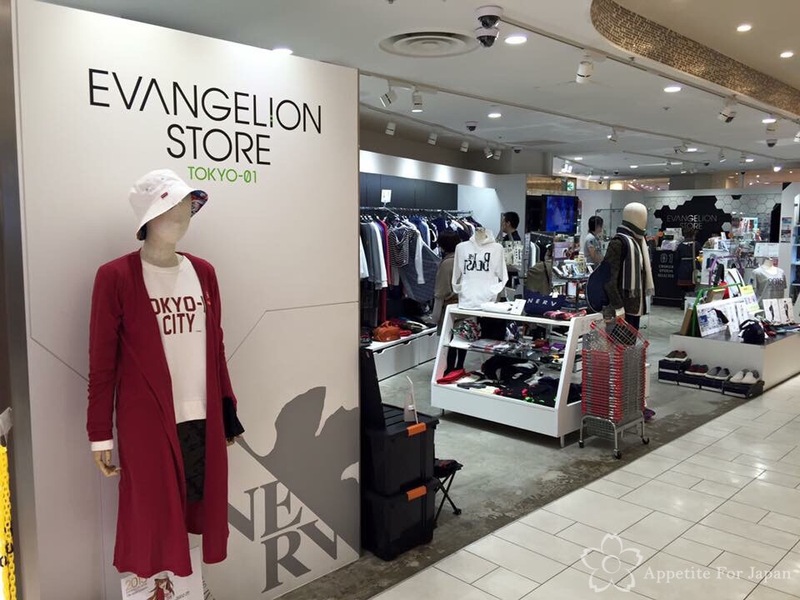 Evangelion Store Tokyo-01 sells a range of Evangelion merchandise, from clothing and shoes, to stationery and other small items. Above: The door to the fitting room. 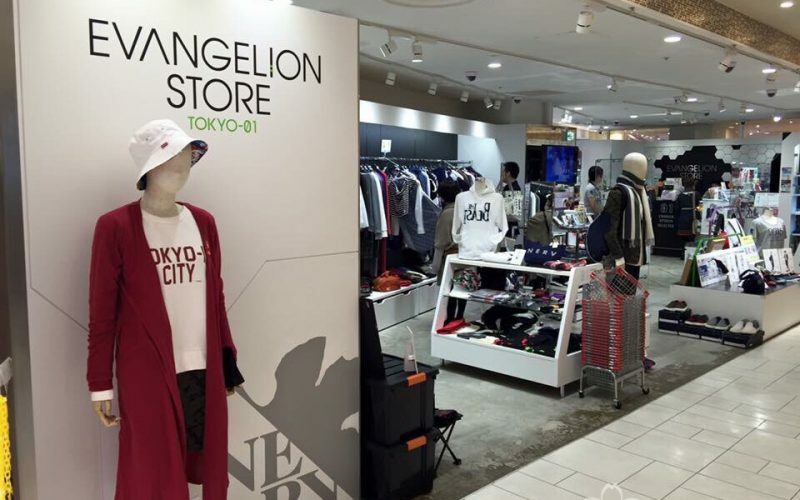 Evangelion Store Tokyo-01 is located within P’Parco, which is one of the Parco shopping mall buildings in Ikebukuro. 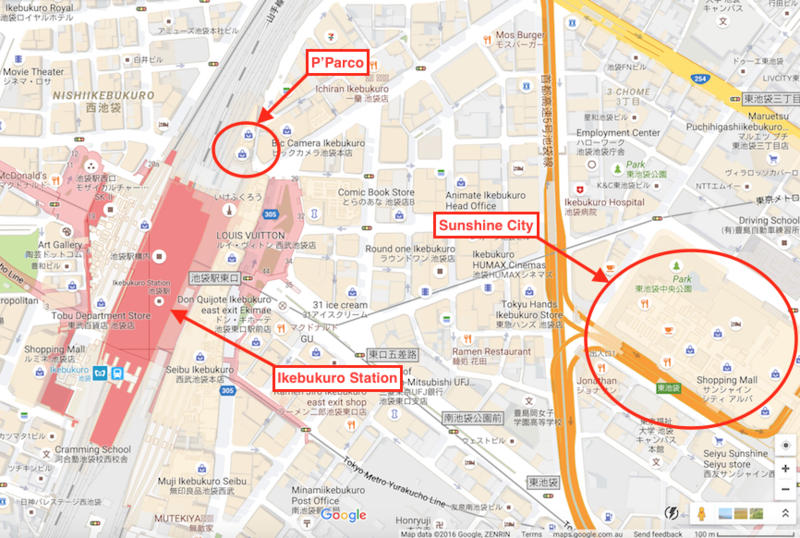 Thanks to Google Maps, I’ve created a map that shows where P’Parco is in relation to Ikebukuro Station (it’s about five minutes away on foot). I’ve also circled the Sunshine City shopping centre (in the bottom right corner), as that’s where you’ll find J-World Tokyo, Namja Town and Pokémon Center Mega Tokyo. Many people will therefore want to make a day of it and visit Sunshine City too. Serious Evangelion fans should also consider adding Evangelion World at the Fuji Q Highland theme park to their itinerary. It’s located at the foot of Mount Fuji, and if you’re heading up (or down) that way, it’s well worth a visit.